The SE-240 is a form 2S class 200 meter designed for light Commercial and Residential applications. SE-240 can be configured as a stand-alone meter or can be networked to accommodate various Automatic Meter Reading (AMR) solutions. Form 2S Class 200, 240V, 60Hz, Single Phase, 3-Wire, 5 Amp through 5000 Amp. 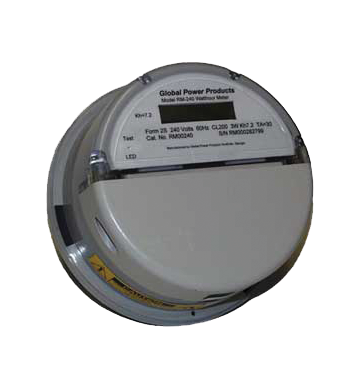 Low cost, AMR-ready meter with LCD-readout for energy display. Data can be processed and stored at the meter or can be processed by the communication electronics. Supports real-time metering, Time-of-Use (TOU), load profiling, load management, power quality monitoring. Compatible with Power-Line-Carrier, CEBus, LonWorks, RF two-way, cellular, satellite, two-way paging, telephone and cable modems. Both 240VAC and 12VDC provided to communications module.